Nolan is in the "why" stage. Anything I tell him is shortly followed by a "why?". It's slowly driving me crazy. I'm going to keep a running list today so you can get a glimpse into why my mental health is declining. Me: Can you get the magazines so that baby doesn't get them? Me: He's in our room. Me: Not right now, baby is going to sleep. REALLY? I don't even need to say anything now? Nolan: Mommy where you go? Me: I'm going to the bathroom. Me: Because I have to PEE! Me: I don't know about that. Me: Because you made a mess last time and didn't pick up the paper pieces. Unfortunately I can't sit here all day and post every few minutes our conversations because clearly this whole "why" situation is going to stay a while. Since having Kaleb it's been my mission to educate people on Trisomy and other medical issues and delays that Kaleb has. So many people have never even heard of "Trisomy" and neither had I until Kaleb's diagnosis. I'm constantly learning and wanting to educate myself about other disorders and even more about Kaleb's conditions. So I just found out that there is a "Rare Disease Day" every year, what?! I've never heard about this. I've added a countdown ticker to my blog for RDD. This is information from the RDD website, which you can view here. "Rare Disease Day is an international advocacy day to bring widespread recognition of rare diseases as a global health challenge. The day is celebrated on the last day of February every year and this year will be observed February 29, 2012. Learn more about the History of Rare Disease Day, Past Successes or the Goals and Plans for this year. Besides dealing with their specific medical problems, people with rare diseases struggle to get a proper diagnosis, find information, and get treatment. The rarity of their conditions makes medical research more difficult. For 2012, our focus is solidarity." I'm bummed I didn't know about this sooner because I could have done more to raise awareness. Kaleb falls in to the "rare disease" category due to his chromosome disorder, Trisomy 9. BUT, now that I know I need to let you know. That's my main focus right?...getting the word out there. I've looked at the events occuring in Florida and found the following incase you'd like to attend (if you don't live in Florida you can find a list on the website above). The Lymphangiomatosis & Gorham’s Disease Alliance (LGDA), the Orthopaedic & Sports Medicine Institute at the University of Florida College of Medicine & Shands Hospital, and the Byrne Lab for Orphan Disease Research (studying Pompe disease, Barth syndrome, Duchenne and Becker muscular dystrophies, and other diseases) are coming together in Gainesville, FL, for an all-day exhibit and information booth on rare diseases, including bone tumors. Dr. John Reith, Professor and Director of Bone Pathology Lab, Katie Boudreau a member of the Byrne Lab, and Jack Kelly, President, LGDA will be hosting the exhibit, assisted by a number of others from UF Shands. The LGDA, a NORD partner, is a 501 (c)(3) foundation dedicated to patient support and supporting research for this rare disease family. Dr. Reith is a founding member of the LGDA Medical Advisory Council. Families with special needs children are encouraged to attend Sunday morning service as they inform and raise awareness to their congregation about rare diseases and our Special Needs ministry. I hope everyone had a wonderful weekend, and happy Monday tomorrow! I have desperately tried to start cooking dinners. Sometimes they work out and sometimes..well..they don't (not even a little bit). And that's okay, I think the most important thing is that I'm trying. I'm starting slow...not getting too creative with my dishes and I'm just fine with that. 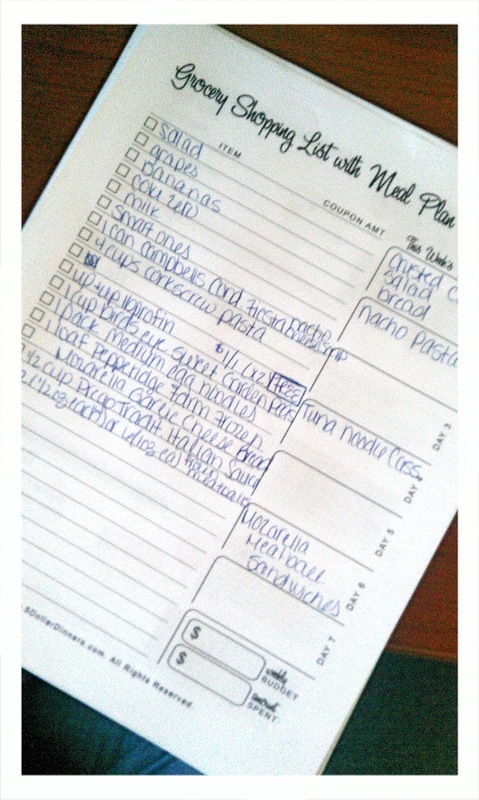 I've realized the importance of a Meal Plan for the week, but have never succeeded to actually follow one. Normally it boils down to how the day went, what plans we have that night, and my exhaustion level. BUT...Today is different. I sat down and wrote out a meal plan for the week. I found a great printable here where I can even list the coupons I have for each item, and it puts my shopping list and menu plan together on one page. Thank goodness! So here is a picture (cell) of my planner. Sorry for the terrible quality, I realize daily I need a newer cell phone. You may notice there are a couple of days (okay...3) that don't have any meals listed. Well those are for the inevitable nights that Dennis works late, or I don't feel well, or I go to a church function, etc.. I'm not necessarily set on the exact days of the meals but this way I have an idea, can post it up, and prepare myself all day to make a certain thing. I've also printed the recipes to attach to the back so I can't use the excuse, "Oh dangit, I can't remember where I put that recipe or which book it came from". Which, unfortunately...I use that excuse way too often. 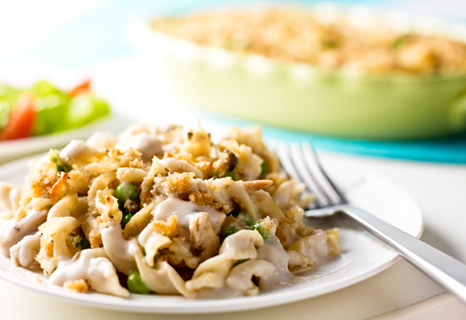 This is the meal we are making for the news camera's to film in my kitchen again. Very easy and Dennis can help with the chicken. No crazy things to cut up or slice and dice, still healthy, and I can make it pretty. In-case you were wondering how I organize all of my recipes, I use Evernote. You can make list after list. It's like Office Word on crack. It does everything. There is even a clipper tool you can download and if you see something you like and want to keep with you at all times you just clip it and then organize it into which notebook you want it. I have different notebooks; such as, recipes, Dr. Oz (for all the wonderful tips he has so I can remember them), lists for parties, Trisomy, Places to See/Go. The best part of all is that is syncs with everything. I have this downloaded on my laptop, desktop, phone, and iPad. Even with all the different devices all of my notebooks save to each one, no matter where I go I always have my favorites with me! I'll post an update tonight or tomorrow after the news crew leaves! Yesterday there was an arrest of a woman who lives about 40 minutes from me for killing her one year old son. Please read the article here. She admitted to detectives that she allowed her son to drown by leaving him alone in the bathtub and when she found him unconscious she refused to do CPR, even though she knew how to do it and also refused to call 911. She also told detectives that she "hated her baby". I am absolutely disgusted. Up until November of 2011 I worked at a Child Protective Investigator in this great state of Florida and I have seen some crazy things. Mother's killing babies, killing their husbands, boyfriends killing babies, and even babies being shaken so hard but had the will to live in SURVIVED. I've also found drugs in homes...and even in the children's rooms. My cases have been on the new and I have worked death investigations. One of my cases sticks out the most which I won't provide details obviously, but was on the news and was one of the most disturbing cases I ever had. Thankfully the child was fine, but what she saw her mother do to her father was horrendous. I think the reason is was even more disturbing was the "matter of fact" nature during my interview with this person. Just like this woman. It shakes me to my core to see people kill someone and be so honest, "yeah, i hated this person", "i refused to help this person"...ESPECIALLY when it is your baby. Apparently the mother was not on her Post Partum medication, but medication can only go so far, especially when we are responsible for taking that medication. It is a bigger problem. When someone we know, love, and especially LIVE WITH....we are responsible as well. Even more so when we are the other parent. I don't care how much you love your spouse, this woman should not have EVER been left alone with this baby. According to reports (which I understand are not always accurate) this has been going on since the baby was born 4 months premature. She had family and a husband...and this woman was LEFT ALONE with her baby that she admittedly HATED? I get so heated over these things. This was a preventable death. Even if the mother did not want to help herself, she could have been forced to leave, the father and child could have left, get an injunction (although may not have been granted), so many things could have happened to protect this child. Obviously I don't know these people or the circumstances and truth behind it all, but I saw this so many times in my cases. "I never thought he would do that...", "She's too nice to hurt anyone", womp womp womp. People can change for the worse, especially when mental issues come into play. The mother told detectives that the morning she killed the baby that the baby was playing with the remote control and was crawling towards her so she slapped him twice to let him know to leave her alone, put him down for a nap, and when he woke up put him in the bath, then when he was dead dressed him and drove around with him. She admitted she knew he was dead because he was blue and not breathing. SERIOUSLY? Then she brings the baby home to her husband, wrapped in a blanket and tells her husband she killed the baby. How she even managed to leave the house after telling her husband that is beyond me, obviously as protective parents we feel we would have done something differently. She would not have been leaving my house to "go kill herself because she doesn't want to go to jail". Luckily she was found at Tampa International Airport as she was attempting suicide but too bad for her there were "too many people around" to go through with it. I think the only two positives about this story is that she was found and that she will be convicted (at least that's what I hope). It doesn't seem like she can get away with insanity even with a mental illness because she told the detectives she did everything on purpose, knew he was dead, slapped him...etc. She knew she was in reality and what she was doing and chose to not get him any help. Also, just last week another child was killed by his mother's boyfriend. The boyfriend, who is a crack user, took the child that he claimed was a whiney child, for a walk. The mother thought this was odd but didn't stop it. When he returned with the baby the baby was blue and barely breathing. The boyfriend assured her that the baby was just "sleeping". This just makes me want to scream. I think the biggest lesson to be learned in this is not to date crack addicts maybe? Seems like a simple enough concept to me, but to others not so much. For more information about how to prevent abuse or what to do if you suspect abuse please read this article, it has some amazing points...things that most people who have never been investigators don't even think about. I look forward to one day returning to my job as a Child Protective Investigator because I truly loved my job. The work is hard and you are very rarely thanked for the work you do, not to mention yelled at, cussed at, and told you are a baby stealer often but I did make a difference. After I left my job I actually recieved a card in the mail (that was sent to my office and they sent to my home) by a previous client...I helped her find her son after 8 years of him being taken away from her. It was so touching to get this card, finally I got a thank you and I still keep in contact with her. We all need to get involved and look for the warning signs, child abuse prevention is up to all of us because sometimes the parents are unable to (whether on drugs, mental illnesses, domestic violence, family issues, etc). We can't just pay attention to our own children but all of the children, so that we can have a part in ensuring their safety. So as a lot of people know by now, we were paid a visit this morning by our local CBS news station, Local 6. I was a complete wreck leading up to their arrival but it went very smoothly! Yesterday I read one of my friend's status' on Facebook (doesn't everything begin with FB nowadays?? ), which stated that one of the producers of Local 6 was looking for a family that they could come film in their kitchen the next morning. I commented and said I would be interested but wanted more information. She gave me the email for a woman who was in contact with the producer so I emailed her and then gave her my phone number. I was SURE they wouldn't be coming to my house but wanted to put myself out there. There are tons of people in Orlando who have cleaner homes than me that would surely volunteer...right? WRONG! A couple of hours later (if that) I got a call from the Local 6 producer. I figured I would just pick her brain about what it was about and then I could turn it down. WRONG again. It turned out that she is insanely sweet and made me feel so comfortable about it. So I thought that I could use this as a chance to get Kaleb's story out there, even if it's not on air. Maybe it would open other doors, who knows? The producer told me even though I may be nervous about my home being on the news, not to go crazy with the cleaning. Yeah...okay. She also told me that the morning anchor, Matt Austin, would be the one covering the "story". Holy cow! Matt Austin is so good looking and a great reporter! I was told the story was similar to investigative reporting where they go into restaurants and catch nastiness and all of that good stuff but I was assured they would not embarrass me and this was simply a learning experience not only for myself but for other normal families about what to do and not to do in the kitchen. I called one of my best friends to see if she would come over last night to help with the kids or clean or even just to calm me down, and she agreed. Last night was a fury of cleaning, laundry, and organizing. I went to bed at 1am, had to get in Grey's Anatomy time! The crew arrived around 9:30am and were SUPER nice. They calmed me down immediately. I stood in the kitchen with the anchor for about 15 minutes (really seemed like an eternity though) and he interviewed me about basic kitchen topics that happen in our home. Then the health inspector showed up. The first guy in the door was this muscular, deep voice, beast of a man and asked me if I was the homeowner. I said yes and then told him he was intimidating...something like that at least. Then he told me he wasn't the inspector, PHEW! Then the health inspector walked in, an older lady who looked a lot less intimidating! They shot video of her going through my kitchen and taking temperatures of food and other things, telling what was right and not so right with my kitchen. All in all I'm pretty sure I passed! Afterwards while the camera men were packing up I got a chance to talk more with Matt and the producer and told them about Kaleb; his Trisomy 9, heart defects, hospitalization, my proclamation from the Mayor, and upcoming Trisomy get together in March. They were VERY interested and were talking about doing a story about Kaleb or putting him into one coming up about our local children's hospital. They are coming back Monday night to take some video of us cooking as a family. Now the big question is WHAT DO I COOK? Seriously...any suggestions please give them to me! I am truly blessed. I can't say enough great things about my life. I am so lucky to have my kids and my husband in my life. I didn't think today could get much better but my husband just called and said we are going out to dinner tonight! YAY! BTW, the friend who posted the status update on FB is Victoria and she has a blog as well, which you can read here! On Monday morning we took Kaleb and Nolan to our local children's hospital for Kaleb's surgery. He was going to be getting his ear tubes and a bronchoscope/larynscope but before the surgery his ENT told us that he didn't agree with our geneticist that it would be necessary and he can scope him in the office. So he only had ear tubes! No worries, it was very easy...in and out. Any surgery where a child is going under is nerve wracking, especially if your child has all of the conditions that Kaleb has. A simple, every day surgery can turn into something terrible for Trisomy kiddos. This is Kaleb's 3rd surgery in his short 13 months of life, what a trooper! He always does really well with anesthesia and recovery. He always amazes me, I can't even explain to you the love that I have for this little blue eyed boy. I got Kaleb this pony rattle during his first surgery at APH, just thinking one day it would sit on his bookshelf or in the closet. But to my excitement, he is insanely in love with this pony. Within the past couple of weeks I named the pony, Arnold (after Arnold Palmer) and now we just call him Arnie. He just adores him and they let him take Arnie in during surgery! In recovery. Already awake and alert...with Arnie. 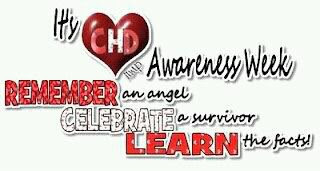 Today marks the beginning of Congenital Heart Defects Awareness Week! Recently I contacted our local Mayor, Buddy Dyer and requested that he complete a proclamation for Orlando to have February 7-14th officially Congenital Heart Defect Awareness Week in Orlando. To my surprise, I received a call from his secretary a couple of weeks later letting me know that he had indeed done this for me and she would be sending me the proclamation in the mail. Wow. There were no words to explain my excitement over this. I received my proclamation in the mail the very next day. I'd like to find a beautiful frame to put this on our family photo wall in our living room. The even more crazy thing is that the last "Whereas" section, is actually my email word for word to the Mayor. My own words are on that proclamation. I never thought I would EVER do anything like this in my entire life. I'm not the "go getter" type of person and I don't normally have anything to do with government, laws, legislation, bills, etc. I think I'm making a difference. I'm finding my voice. And who do I have to thank for this? MY SON! Thank you Kaleb for making me a better mother and person, you are an amazing little man and have so many gifts to give! The other night my hubby and I took the kids to Downtown Disney. Nolan had only been when he was pretty little and wouldn't remember anything. He is somehow addicted to Mickey Mouse now so he was super excited to go in the Disney stores and play with the legos and everything else that Downtown Disney has in store. We ate dinner at Wolfgang Puck express which was delicious and then had a second dinner at Paradiso 37. 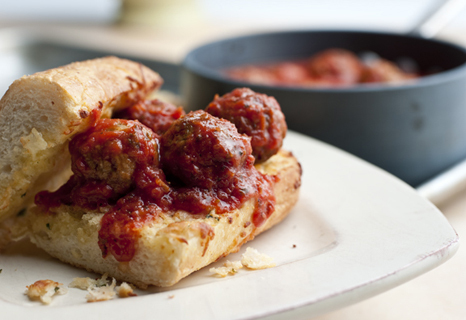 It's date night remember...so why not two dinners? So why did we have a date night in the middle of the week with our kids until PAST MIDNIGHT? I think mostly because my hubby felt bad that he has been working so much lately (to be exact, he has only had three days off the entire month of January) and wanted to spend time with all of us. Even if that meant the kids being up the latest they have EVER been up. They were barely holding on by the time we left. I can't wait until they get older so that Disney World will be worth the huge ticket price. Nolan might just pass out from seeing a real Mickey Mouse. I'm not really sure how Nolan got so into Mickey Mouse, it started before I quit my job to stay home with them though so you can't blame all of it on me and him now having a TV to watch during the day. When we first had Nolan I quickly realized I couldn't stand Mickey Mouse anything or Winnie the Pooh anything. There's just something about it. I wouldn't even buy them diapers with Mickey Mouse or Pooh on it, which is a hard task because nearly all diapers have these characters on them. Since I'm now a stay at home mommy I have given up my fight against Mickey and Pooh because I now have more Mickey recorded on my DVR than my crime shows and Kardashian shows...which is just plain sad. Not to mention we have more Mickey stuffed animals, pillows, books, etc than I ever dreamed possible. Damn you Mickey...slowly creeping into my life. His first taste of a chocolate chip cookie. He cracks me up! Yep, that's my son bent over the lego table at the Lego store. Cirque de Soleil, love that show! Ready to go with his bag of loot! my boys...close to midnight...and exhausted!